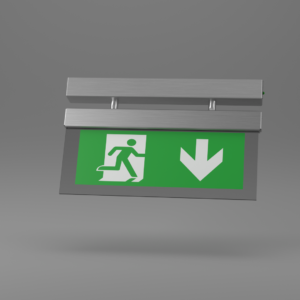 X-MPW - Ringtail Emergency Lighting. 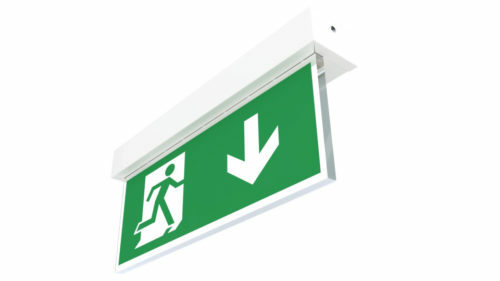 A compact surface wall mounted exit sign. 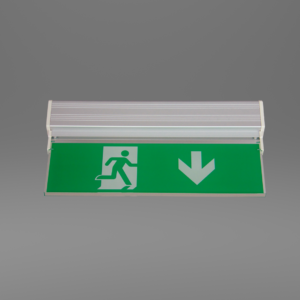 Can be ordered so that the LED lights can be mounted upwards and the sign sitting on top of them, rather than hanging downwards. 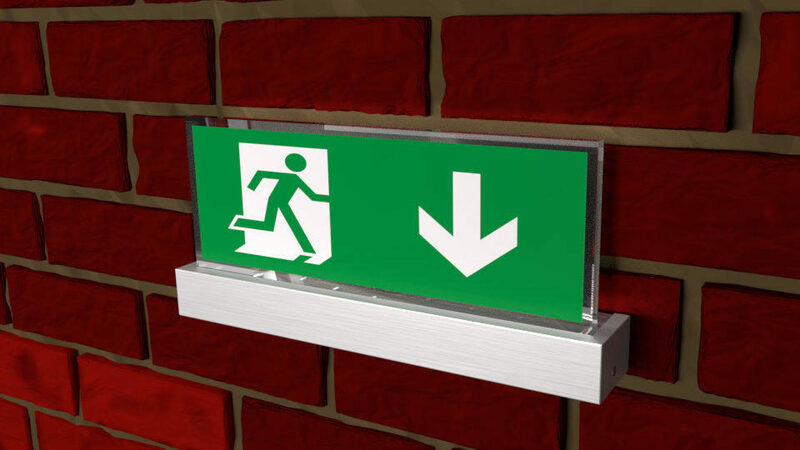 This is a decorative, illuminated escape route and direction sign light. Using high illumination white LED’s, in a small compact shell, designed for 3 hour maintained operation or used with central battery systems, it is virtually maintenance free. 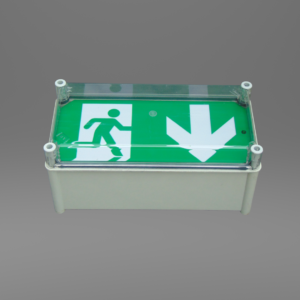 It is designed to be surface mounted on walls. 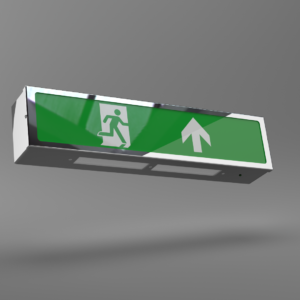 X-MPW Light is available in white or special finishes such as brushed chrome.